How the world is changing gardening, and gardening is changing the world. Why do we garden? Why should we? How is gardening changing the world? These are just some of the philosophical gardening questions pondered in this heartfelt and gorgeously designed book. An informed and personal reflection on gardening in Canada from the country’s preeminent horticultural expert, Escape to Reality goes beyond the hows that are the focus of most gardening books and explores the whys. In short, narrative essays, topics range from garden and nature as therapy to who we are as gardeners and what life values we gain through the experience of gardening. 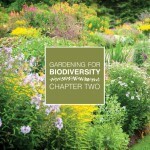 It also includes some practical tips for cultivating and coexisting with your garden. 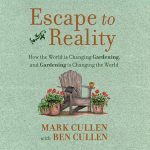 Co-written with son, Ben Cullen, bestselling author and horticultural consultant Mark Cullen’s newest book is sure to find a home on the shelves of mindful gardeners across the country, and beyond. Proceeds benefit the Highway of Heroes Tree Campaign. Available at Chapters, Home Hardware, and independent book stores. 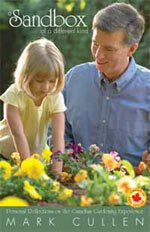 An exciting vision of the blossoming new role gardening plays in this generation and the next. 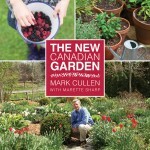 In The New Canadian Garden, Canada’s gardening guru, Mark Cullen (A Greener Thumb), explores new trends, horticultural innovations, and the creativity that has been tapped by a generation of younger gardeners. 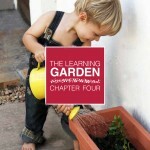 He chronicles the significant changes that are redefining today’s gardening experiences, including the boom of online information on gardening, which can be very practical, but also drives a growing need for a focus on understanding, technique, and the local gardening experience. 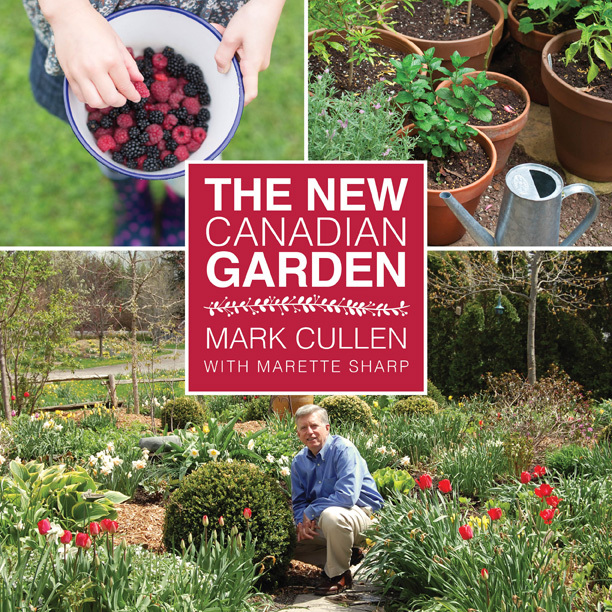 Combining the best practical information with an insightful approach that improves gardeners’ skills and enhances their experience, The New Canadian Garden is the book Canadians have been waiting for. Available at Chapters, Home Hardware and Independent Book Stores. In this, my 18th book, I have gone all out and left no proverbial paving stone unturned. Covering a gamut of topics, from fruits and vegetables to ornamental and lawn gardening, The Canadian Garden Primer is also vividly photographed in full colour. We all know about the benefits of eating organically grown produce – and now you have the opportunity to learn how to grow it yourselves, regardless of your expertise. I have taken the guesswork out of gardening, featuring numerous easy to follow sequenced shots of the various stages of planting. 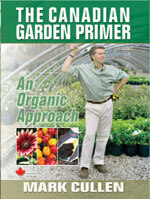 The Canadian Garden Primer is Intended to inform the novice gardener and serve as a useful reference in the ornamental garden and vegetable garden, it also provides guidance to the lawn enthusiast. I hope that you will enjoy reading my latest book which is based on my personal reflections of our Canadian gardening experience. There often comes a time in life when gardening chores and yard work become something more. When the experience of planting, growing and nurturing becomes a pleasure and a joy…..a valued form of recreation. Then your garden becomes your sandbox….A place to relax, unwind and play. A Sandbox of a different kind is a personal, inspirational book. The 52 short chapters are a wonderful read when you are looking for a break. Perfect for Mother’s Day, Father’s Day or any day that you would like to escape to the garden in your mind. 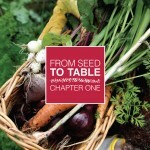 A Sandbox of a Different Kind – a different kind of gardening book. By Mark Cullen. Get the most from your garden with Canada’s best-selling gardening expert! 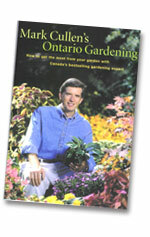 Everything you ever needed to know about gardening in Ontario — from Canada’s gardening expert, Mark Cullen. As part of a family that has made Ontario gardens their business for more then 50 years, Mark Cullen is ideally qualified to write about gardening in the province. Since Ontario spans more climate zones than do most countries, the emphasis here is on practical, general advice that gardeners from across Canada will find useful, with specific tips and suggestions for the Ontario gardener. Beginning with large and small ornamental gardens, Mark looks at the increasing importance of native gardening in the province. He discusses the challenges and pleasures of northern gardens, with specific advice on maintaining a garden at the cottage. 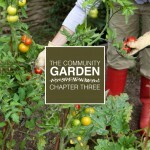 Mark covers the edible garden extensively and also offers practical information on such gardening basics as soil preparation, planting, watering and mulching. He also lists his 100 favourite plants for Ontario — plants that are reliable performers and well suited to the climate — and complements it with full-colour photographs of each plant. Mark Cullen’s Ontario Gardening features 16 pages of stunning full-colour photography by Andrew Leyerle that wonderfully illustrates the beauty and diversity of Ontario’s gardens. From very mild Victoria to fairly frosty Fredericton, Mark Cullen’s New Greener Thumb covers all the techniques, tips and tricks you’ll need to be a successful Canadian gardener. Whether it’s annuals, perennials, shrubs, trees or vegetables you crave, this full colour, guide will point you in the right direction. In this beautifully designed and illustrated classic guide to gardening in Canada, Mark demonstrates all the techniques and skills you need to make your garden grow, no matter what part of the country you live in. With five comprehensive, info-packed sections on Making the Garden, Flowers in the Garden, Ornamental Gardens, Vegetables and Bush Fruits and Updating Your Garden, this is a must have gardening reference for Canadians. 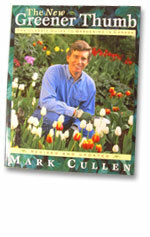 And, like the originals, the new sections on “Low Maintenance Gardening”, “Native Plants” and the updated information on roses and his favourite perennials are written and designed with Mark Cullen’s easy to understand, down-to-earth style. Canadian Garden Design answers all of your design challenges and more. Whether you are starting from scratch or renovating an existing garden, Canada’s gardening expert, Mark Cullen, guides you through all phases of the design process. From important basics to more sophisticated techniques, Canadian Garden Design provides clear and useful advice on design fundamentals such a working with colour, shape and texture; incorporating garden furnishings, decks and patios; exploring fun and practical theme gardens; planning for year-round appeal and adapting popular garden styles for the Canadian home. Also included in Canadian Garden Design are original, easy-to-follow garden plans that can be adapted to any back or front yard to turn it into your own dream garden. Discover what you and your family want from the garden and what the garden needs from you. 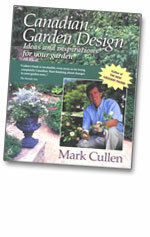 Use the handy garden plans in this book as the basis for your own creative designs. Ready to design your dream garden — right in your own back yard? Get off to the right start with your copy of Canadian Garden Design, by Mark Cullen.